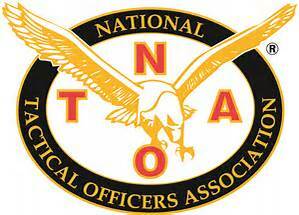 NTOA Resources - KENTUCKY TACTICAL OFFICERS ASSOCIATION, INC.
NTOA subject matter experts conduct reviews and assessments for law enforcement agencies as outlined below. These reviews and assessments are intended to provide the requesting agency with an objective, third party evaluation of the subject tactical team or incident. Objectivity is critical to the credibility of the process. The completed report will identify strengths in performance, as well as areas of concern or in need of improvement. The ultimate goal of all such reviews and assessments is to enhance the tactical capability and professional standing of the subject agency. All reviews are coordinated through NTOA’s Director of Training and Education. The review process begins with preliminary discussions to determine the needs and desires of the agency. A formal scope of work is then provided by the NTOA and all contractual obligations must be arranged prior to commencement of the review. Due to variables in travel costs, target deadlines and complexities with respect to the specific team or incident in question, each review is treated as unique and will be expensed accordingly. Under normal circumstances, the requesting agency will receive the final report in PDF format, along with three printed and professionally bound copies. Staff briefings from the evaluators may be included as determined by the agency.